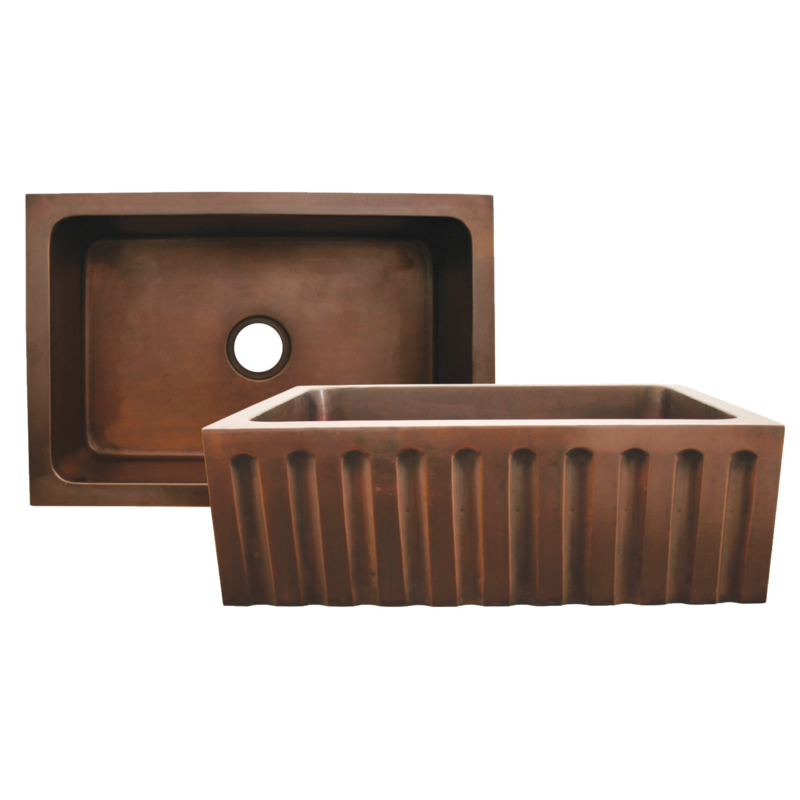 Copper has quickly risen to fame in the Kitchens & Baths industry in recent years. Today we see this metal every where; from bowls and cups (Moscow Mule, anyone?) 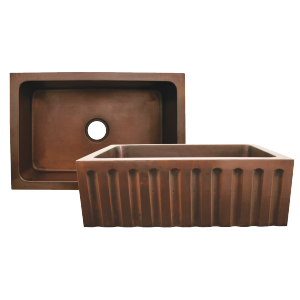 to décor and – our favorite – copper sinks. And while some aspire for that perfect patina, others seek the coveted crimson hue only copper can claim. 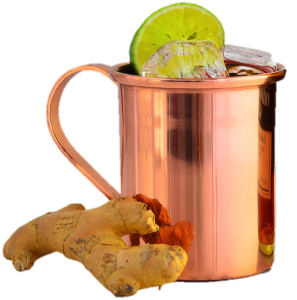 Here are a few tips to keep your copper exactly how you like it. THE PERFECT PATINA: This beautiful blue-green coloring is a naturally occurring result of the oxidation of copper. Let’s take, for example, The Statue of Liberty. Did you know Lady Liberty is made of Copper, and her signature sea-green color comes from patina? 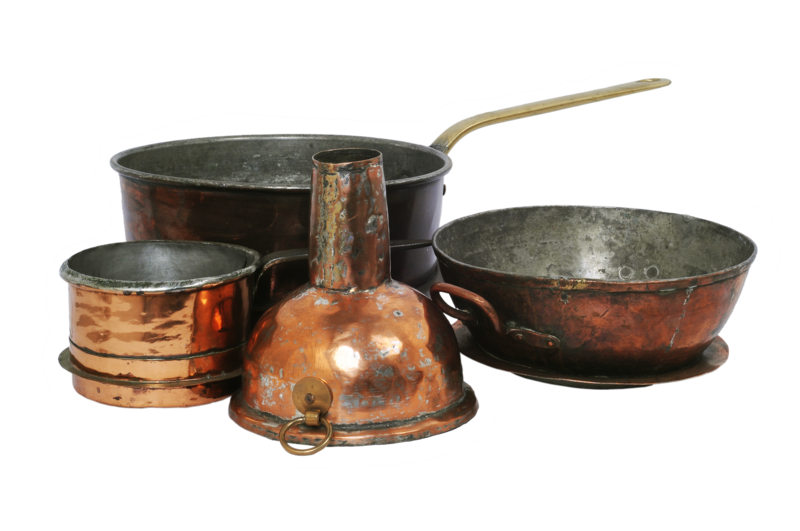 You, too, can achieve that perfect patina (Okay, not You, but your copper items) with a few simple steps. 1. Clean the copper. Yes, this may sound counterintuitive, but fingerprints, oil and debris hinder the patina process. Cleaning the copper creates the right base to allow patination to occur. 2. Rinse thoroughly with clean water to remove any cleaning agents. 3. Scrub the item (going with the grain) with baking soda & rinse completely. 4. Fill a spray bottle with a vinegar and salt wash (1 part vinegar, 1 part salt). For a stronger solution you can use a combination of Ammonium Sulfate and Copper Sulfate. Click here for directions. 5. Place the copper item on a towel and spray liberally with either mixture. Allow to dry completely. Repeat this process at least 5 times. 6. Allow the mixture to stand for at least 8 hours. You patina will begin to appear before your eyes. Once the expected level of patination has occurred, rinse with water. 7. You have perfected patina! To keep this greenish-blue hue, avoid acidic and harsh cleaning agents; stick to water and allow the patina to take on a life of its own. THE COVETED CRIMSON SHINE: Copper achieves a gorgeous golden-red hue unlike any other metal. And much like its metallic counterparts, it takes some dedication to keep it that way. Here are a few tips to keep your copper gleaming. 1. Frequently wash the item to remove dirt, dust and oils. As with sterling silver, it is always best to use gloves when cleaning and handling copper to keep from leaving fingerprints behind. 2. Use pH-neutral soaps when using a cleaning agent. Anything extremely acidic (lemons, limes, vinegars, etc.) will cause corrosion and fast-forward the patina process. 3. Copper has many phases of coloring and everyone has a different desired appearance. When your piece has achieved your desired color, rub with a wax such as: copper wax, beeswax or even old fashioned furniture wax. 4. 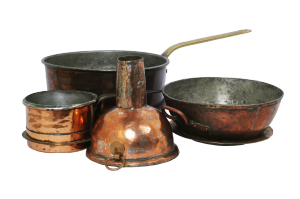 If the patina is too dark, use a copper polishing cream with a slightly acidic base to reduce the coloring. And then wax (See #3) to keep the lightened copper intact. 5. If the patina is too light, clean once (See #1 and #2) and allow oxidation for some length of time, until the copper darkens to the color your desire. This can take days to weeks, sometimes even months to achieve the perfect color. Copper is coveted for it’s beautiful range of colors and the slight nuances that exist within its variations; from the lightest golden-oranges, to crimson-reds, all the way to seafoam-green. The time and care you put into your pieces allow you to create the perfect patina, or lack thereof, that you want. Show your personality in your copper pieces. Check back for our next Kitchens & Baths Essentials: Stainless Steel.